Has A Third Intifada Begun In Palestine? On September 30, for the first time ever, the Palestinian flag was raised at the United Nations. While this represented a significant and symbolic victory, events on the ground in Palestine could be about to cause this progress to violently unravel. Rarely a month goes by without violent clashes between Palestinian activists or militants and Israeli Security Forces. This being said, over the last month in the region, and the last week in particular, there has been an alarming escalation in the level of violence as well as the number of casualties on both sides. The tensions leading to this current flare-up have been ongoing for some time. Palestinians have been angered by the continuing expansion of Israeli settlements in the West Bank, while at the same time have been frustrated by stalled political talks. As well, repeated incursions by Israeli police on the Temple Mount (known in Arabic as Al-Aqsa) have incited religious tensions. Concurrently, on the Israeli side, civilians have come under attack by a new group of radicalised 'lone wolf' attackers, using opportunistic weapons like knives or vehicles. Due to the nature of these attacks, there is little Israeli security forces can do to prevent them, leading to a greater feeling of insecurity. It should be noted as well that retaliatory violence on the behalf of Jewish extremists has also taken the lives of several Palestinian civilians, in attacks widely condemned by the international community. Within this atmosphere of frustration and distrust, a series of actions over the last week have taken Israeli-Palestinian relations back to a crisis point. On October 1, a Palestinian militant shot dead two Israeli civilians in front of their four children as they drove along a road in the West Bank. This was then followed by an attack in the Old City of Jerusalem where a Palestinian man attacked Jewish civilians on the way to the Wailing Wall, stabbing two to death, and injuring others, before himself being shot dead by Israeli security forces. Following this attack, Palestinian Islamic Jihad (PIJ) claimed responsibility. In a statement they claimed that the stabbing marked the beginning of a ‘Third Intifada’, saying that attacks on worshipers at the Al-Aqsa mosque were the cause. "We are at the start of a true intifada […] The situation is at the breaking point - this isn't a storm in a teacup. Today Netanyahu is reaping what he sowed. The Palestinian people have spoken - harming Al-Aqsa is a red line." Intifada (Arabic for ‘shaking off’), in this case refers to previous uprisings in Palestinian areas against Israeli occupation. The First Intifada occurred between 1987 and 1993, while the Second Intifada occurred between 2000 and 2005 and was triggered by similar clashes around the Al-Aqsa mosque. Both of these Intifadas resulted in thousands of deaths and were only stopped through intense diplomatic efforts. While it is too early to tell if indeed this latest upsurge in violence or the declaration by PIJ represents a beginning of a true ‘Third Intifada’, the current situation continues to deteriorate. For the last two nights, there have been large-scale riots across almost all major population centres in the West Bank, as well as a number of smaller-scale attacks on Israeli civilians. At the same time, the police response to these riots has left at least two Palestinians dead, and more than 100 injured. It is worth noting however that outbreaks of violence and rioting are not uncommon in the West Bank, and have previously stopped short of developing beyond this. “There have been eruptions of violence and riots several times the last year, and every time it just calmed down again,” said Anna Krijger, a freelance journalist based in Israel. “There are a lot of Palestinians who know that the price for a third Intifada would be extremely high. […] Every single Palestinian wants to end the occupation today. But I don't think they are all willing to pay the same price: loss of lives and land, like with the other two Intifadas,” she continued. On the other hand, pro-Israeli groups and Jewish extremists, incensed by the deaths of innocent Israeli civilians, have demanded a greater response to the Palestinian attacks by the Israeli government, something which if it occurs, will likely irreparably harm the situation. One such measure, the demolition of houses belonging to families of suspected terrorists, is already being expedited, as part of new ‘aggressive measures’ announced by Israeli PM Netanyahu. In the face of this situation there have been some promising moves by the Palestinian President Mahmoud Abbas, who stated that Palestine does not want “military or security escalation”. Nonetheless, the level of control which his government has over the situation at a grassroots level is questionable at best. All things considered, it is not yet time to conclude one way or another if a Third Intifada has begun, but one thing is for sure, the time for de-escalation and dialogue is rapidly running out. By Thomas C. Barton For much of the nation’s history, Lebanon’s army played a secondary role to the countries sectarian militias and occupying forces. 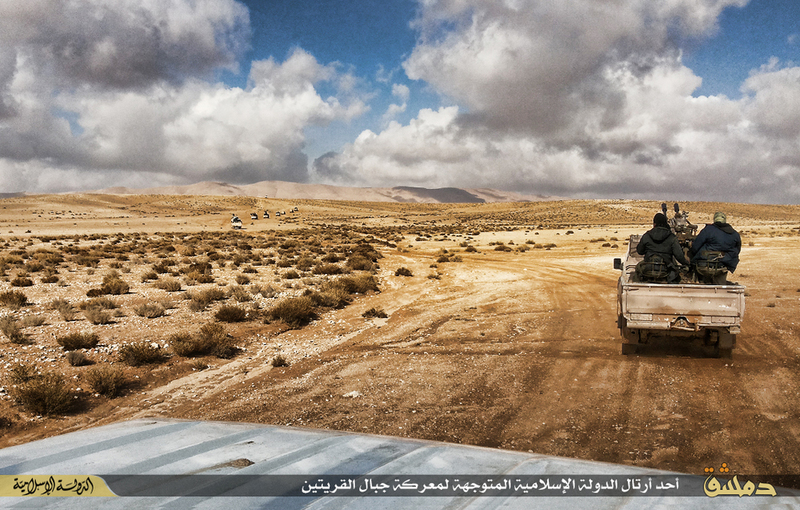 In recent years, the army has gained new strength as it tackles the threat of insurgency from across the Syrian border as well as at home. Analysts have estimated that as a result of foreign military aid, the firepower of the army has increased by 30-40% in recent years and has played a substantial role in securing the North-Eastern region of the country. The threat of civil war in Lebanon as a result of the Syrian civil war has not been unsubstantial. One in four people living in Lebanon is now suspected to by a refugee from the conflict, a fact that threatens to upset the delicate sectarian balance and plunge the country back into civil war. The army’s success in containing this threat continues to be one of the few bulwarks against this reality. At the founding of the country, Lebanon’s military was kept weak as a result of the confessionalist system on which the country's politics were built. The threat that the military would become a tool of suppression against the many by the few (as has been shown across the region) led leaders to maintain sectarian militias who could assure the protection of their own groups at the cost of a weak national defence force. The risk of such a policy became clear as the Muslim and Christian population constantly disagreed about Lebanon’s place in the region in the wake of crises such as the Suez Canal crisis, the Arab Cold war, and position of Israel and Palestine over the southern border. The influx of Palestinians and the PLO after Black September forced them out of Jordan brought this to a head, when concerns that the now growing Muslim population and the new Palestinian “state within a state,” would lead to attempts to overthrow the government as and suppress the Christian population. The army’s weakness and the inability of the government to agree a cohesive policy made them unable to prevent the civil war and throughout its fifteen years would mean the army was largely on the side-lines, forced into a position of neutrality that neutered their ability to act as the militias fought and occupying forces from Syria and Israel attempted to bring calm to, or exploit, the country. As the civil war ended and armed militant groups were forced to disarm with the promise of immunity (with the exception of Hezbollah, who continued to operate as a “resistance force” against Israel in the south), the Syrian occupation continued until 2005, preventing Lebanese army from developing into an effective force for maintaining stability and security in its own territory. The Syrian Civil War quickly acted as an impetus for Lebanon’s allies to help build the capabilities of the armed forces to ensure the conflict was kept out of the delicate nation. This has focused on developing the army’s elite units, commandoes and Navy seals, whose training is specifically suited to urban warfare and counterinsurgency operations such has been carried out in the north of the country with little focus on technologies and equipment that could help the nation in cross-country conflicts. Border patrols have been an another essential function which has caused some concern in neighbouring states due to seeming cooperation with Lebanon’s other armed force: Hezbollah. The fear that the Lebanese army is acting in the interest of Hezbollah are not new and many have raised concerns about the inability (or unwillingness) of the army to prevent Hezbollah from operating on both sides of the border in the interest of Bashir al-Assad, a leader whom many in Lebanon see as responsible for the current civil war. Along with the security of Lebanon’s southern border, the army and Hezbollah do have some joint interests at the present time, mainly keeping ISIS and other Sunni terrorist groups from infiltrating Lebanon. That Hezbollah are tackling this threat inside of Syria’s territory may potentially, in fact, be taking some of the strain off Lebanon’s border and the army. Concerns over such cooperation has led the Israeli’s to lobby international powers to limit certain military technologies which may, in the future, be used against Israel in any future conflict with Hezbollah (a conflict which will inevitably take place on Lebanese soil and risk the lives of Lebanese civilians). That Lebanon’s army would actively engage the IDF in a future conflict is unlikely. Past conflicts between Hezbollah and Israel have been focused on the Hezbollah strong holds of the south in parts of Beirut, sparing the majority of the country. Army involvement on the side of Lebanon would simply increase the levels of destruction and would be felt by the nation as a whole at a much greater level. Of greater concern is how the army will manage their relationship with Hezbollah moving forward. Hezbollah has shown little resistance to the build-up of the army’s power, seeing it has beneficial to the current aims for Lebanon. In the future, however, the nation is going to have to deal with having two separate armed forces whose interest may not align in the future. Historically, the Lebanese army has failed to engage domestic militant groups fearing this would create tension amongst the co-religious military forces. When domestic conflicts broke out, their approach was to police crease-fire agreements as they occurred. Tackling insurgencies from inside Palestinian camps or from Syria have been different, as these groups are outside of Lebanon’s society and not represented in the military. 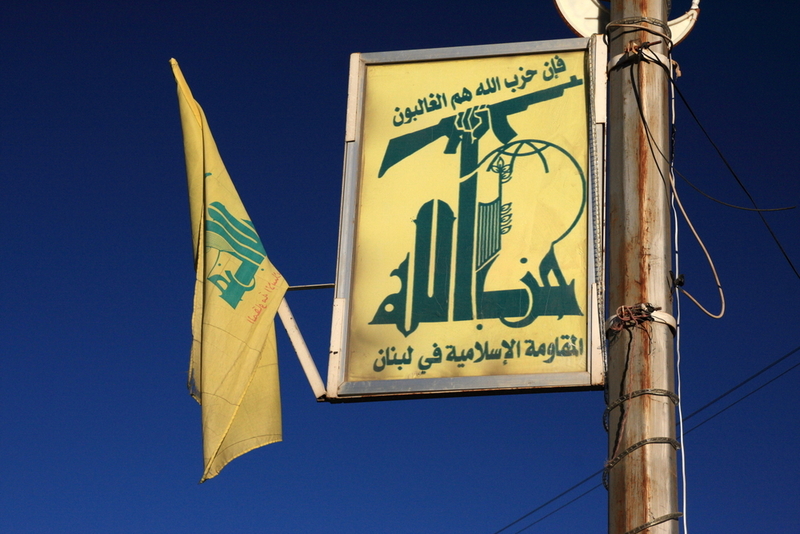 The continued existence of Hezbollah has and will undermine the militaries ability to control the use of violence as a political tool of the nation state, and make the nation as a whole vulnerable to the whims of the Hezbollah leadership and their allies (which may go against the decision making of the government or the people en masse). It is unlikely that the army will attempt to take on Hezbollah head-on in the near future, however, not simply due to the domestic conflict that would ensue, but also due to the political deadlock and the role of Hezbollah itself in the government decision making. Unless the government can come to an agreement to integrate Hezbollah into the army or, preferably, dissolve Hezbollah’s armed wing entirely, the problem will continue. Is ISIS Trying To Start Another War In Gaza? Several days ago, sirens rang out across Southern Israel urging citizens to seek shelter, as rockets were once again being fired form Gaza. Such rocket fire is not uncommon in the region, and on several occasions before this has triggered an escalating series of reprisals which eventually devolved into a full-scale war. What was different this time however, was who was doing the firing. 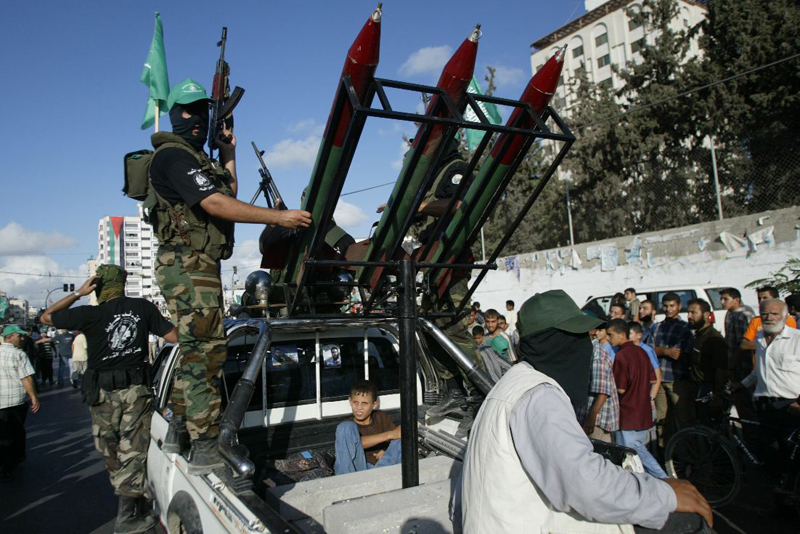 In the past, rockets fired from Gaza were either launched by Hamas, the dominant armed faction within the small enclave, or by Palestinian Islamic Jihad – a more radical Islamic faction largely subservient to Hamas. These more recent volley of rockets, fired on the night of the 3rd of June, were however fired by a different group entirely. Is Egypt Planning To Attack Gaza? Last year Hamas fought a 50 day war against Israel. Despite taking massive losses due to Israeli airstrikes and shelling, the group still managed to put up stiff resistance to the IDF, killing at least 50 of its soldiers. As well, it managed to shut down much of central and southern Israel with its constant missile barrages, despite them causing relatively little real damage. All up however, the war was a defeat for Hamas, with much of its materiel expended and thousands of lives lost, for little real gain. However, while these losses for Hamas have hurt the organisation, it now faces a more existential threat: Egypt. Since the counter-revolution led by current Egyptian leader Abdul Fattah Al-Sisi against the Muslim Brotherhood (MB) government of Mohammed Morsi, the country has a faced an ever worsening crisis of relations with its neighbours. This has been exacerbated by the conflicts currently being fought in Libya and the Sinai, which Egypt believes are being fueled by pro-MB governments such as Qatar and Turkey. Hezbollah IDF Attack - Does This Mean War? Editor's Note: This is a guest article by Lucas Theriault, a US-based international politics student, and long-time follower of crises in the region. 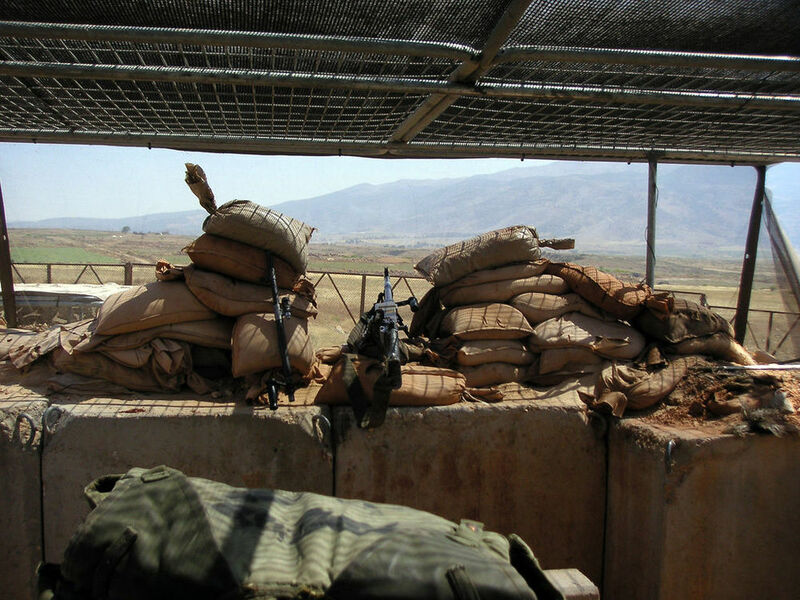 Tensions flared on January 28th between Israel and Hezbollah after an ambush of a IDF border troops by Hezbollah with an anti-tank missile. The attack occurred at Shebaa Farms, a 25 square mile disputed territory in the Golan Heights that is claimed by both Israel and Lebanon, but is under Israeli administration. The fighting escalated with shelling from both sides and ended with 2 IDF soldiers dead, 7 wounded, along with a UN peacekeeper from Spain. There has been no official confirmation of how the peacekeeper died from the UN, but Spanish Ambassador to the UN Roman Oyarzun Marchesi told reporters that "It was because of this escalation of violence, and it came from the Israeli side," referring to IDF counter-shelling of suspected Hezbollah positions. Foreign Minister Avigdor Lieberman stated in a meeting with Chinese counterpart Wang Yi that Israel would respond and the “it must do so harshly, and disproportionately.” He also added that he expected support from Israel’s allies for more harsh and severe policy on the matter. South Sudan Civil War (Beginning January) At the end of 2013 and into January this year, the two major ethnic groups that made up the majority of the new country’s population, the Dinka and the Nuer went to war. The split was driven by a fallout between two independence-era leaders and resulted in an attempted coup. When this failed, Nuer troops took to the bush and staged ongoing attacks against Government forces, now solely loyal to the majority Dinka tribe. The country now faces a humanitarian crisis due to lack of food, following its human-made one earlier in the year. Ukrainian Revolution (February) The Euromaidan protests which began in November 2013 reached their peak in intensity in February. Activists attempted to storm the government buildings on Hrushevskoho St, however were beaten back by ‘Berkut’ riot police to a series of heavily fortified barricades. In a climactic period of heavy clashes from the 18th and to the 23rd of February, police attempted to storm the Euromaidan encampment. This attempt failed and the police were forced into a hasty retreat, leaving more than 100 people dead. Following this ruling president Victor Yanukovych fled the country to Russia, triggering a change of government. Annexation of Crimea (March) Following the revolution in Kyiv, the Russia government, deeply unhappy with the outcome, decided to take advantage of the chaos, and annex the region of Crimea in the south of Ukraine. Unmarked Russian troops moved from bases on the Black Sea and quickly claimed strategic positions around the Crimean peninsula, including surrounding key Ukrainian military and air force bases. The new pro-Russian authorities then held a referendum on secession from Ukraine and joining Russia, which passed with overwhelming support, despite condemnation from the international community. War in Donbass (Beginning April) As from in Crimea, there was also significant pro-Russia sentiment in Eastern Ukraine. In April, unmarked soldiers began occupying government buildings in Donetsk and Luhansk Oblasts in the Donbass region of Ukraine. These groups eventually coalesced to form “Novorossiya”, a self declared state in Eastern Ukraine. After attempting to negotiate with leaders breakaway republics the new Ukrainian government launched its ‘Anti Terrorist Operation’ (ATO) against these groups. This undeclared war was initially very successful, with pro-Russian forces losing much territory. Israeli Strikes Against Syria: What Was The Target? This afternoon local time, reports started coming in that the Israel Defense Force (IDF) had initiated a series of air strikes against targets within Syria. While the strike itself has not been confirmed by the Israeli government (and likely never will be), initial claims by witnesses on the ground have now been confirmed by mainstream media outlets and the Syrian government. Similar to previous Israeli strikes in the region, today’s attacks were against targets located in the south of Syria, close to the Israeli occupied Golan Heights. According to reports, “at least 10” explosions were witnessed in Al-Dimas, north-west of Damascus, with additional strikes in an area near the Damascus International Airport. The Dimas site was alleged to be an unspecified military site, while the area targeted near the airport was a storehouse. While little is currently known about these attacks, given what we know about similar Israeli attacks in the past, we can have some idea of what would have been targeted. The IDF’s primary goal with these sort of airstrikes is to prevent the transfer of so-called “game-changing” weaponry to actors who may pose a military threat to the State of Israel. With this in mind, we believe that this attack could have been against one of 3 possible targets. Long Range Missiles For Hezbollah Since the 2006 war with Hezbollah, Israel has been concerned about the expansion of the organisation’s missile forces. Their greatest concern is that Hezbollah will acquire longer-range missiles which have the capacity to strike deep within Israel. In the past, IDF jets have reportedly struck sites involved in the storage and transport of the Fateh-110 missile (also known as the M600 in Syria) to prevent them from reaching Lebanon. It is highly likely today’s strikes were for a similar purpose. S-300 AA System For Syria An equally plausible theory is that the strikes were targeted against components of a S-300 AA system. Syria has long been rumoured to be acquiring this advanced anti-aircraft missile system from Russia, something which if successful, would make Syria much better equipped to defend against aerial attacks. Israel may have received conclusive intel on locations for the storage of parts of this system, and taken the opportunity to destroy them before they could pose a threat to the country. Undeclared Chemical Weapons Stockpile The least likely, but still plausible theory is that air strike targeted an undeclared stockpile of chemical weapons. While the Assad regime has nominally declared and handed over its chemical weapons to the international community for destruction, it has continued to use improvised chemical ‘barrel bombs’ against rebel-held areas. As well as breaking international commitments, this also demonstrates that the regime has a continuing desire to use such munitions, and may indeed be hiding limited amounts of more deadly agents. Such repositories may have been discovered and destroyed by the IDF today.